I first went to Japan in 1980 and I continue to go ever since. The ancient culture lives in the present. 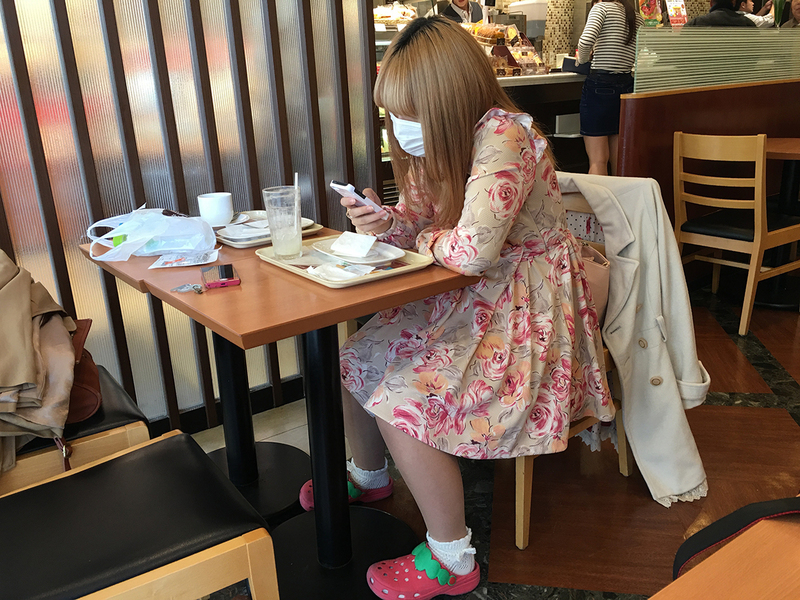 Japan throws all our assumptions upside down and makes us review our own culture. It has the best of two worlds being grounded in a strong heritage yet a world leader in innovative technologies. There is widespread belief in excellence and quality in all things and it shows. I was led to Japan by my love of cinema, having studied Japanese classic cinema in London in 1971. The depictions of Japan by filmmakers like Ozu, Mizoguchi and Kurosawa entranced me, and have stayed with me through the years in my work as a photographer, curator and Creative Producer of Arthere, as well as through my long association with Stills Gallery in Sydney. It is possible to go to Japan from Australia for short trips and get a complete break. There is minimal jetlag — two hours difference — and if you have time to go for longer you can explore the country from top to bottom. When I first went to Japan I headed for Tokyo, which has the largest population in the world and where day and night are like two different realities. For the young, your energy meets this city. However, I recommend going to Kyoto if you have not been to Japan before. It is the most beautiful city in the world. Originally the capital (where the Emperor lived until 1868), it is still regarded as the elite place to live in Japan and has become the country’s cultural and heritage centre. The pleasure of Kyoto is walking the streets day or night and discovering stunning traditional architecture such as bamboo houses. Serendipity is a major factor in Kyoto where delightful things continually present themselves on the way to places in the tourist guidebook. Walking at dusk in the Gion area you may sight geisha and maiko. You must be in the right place at the right time. 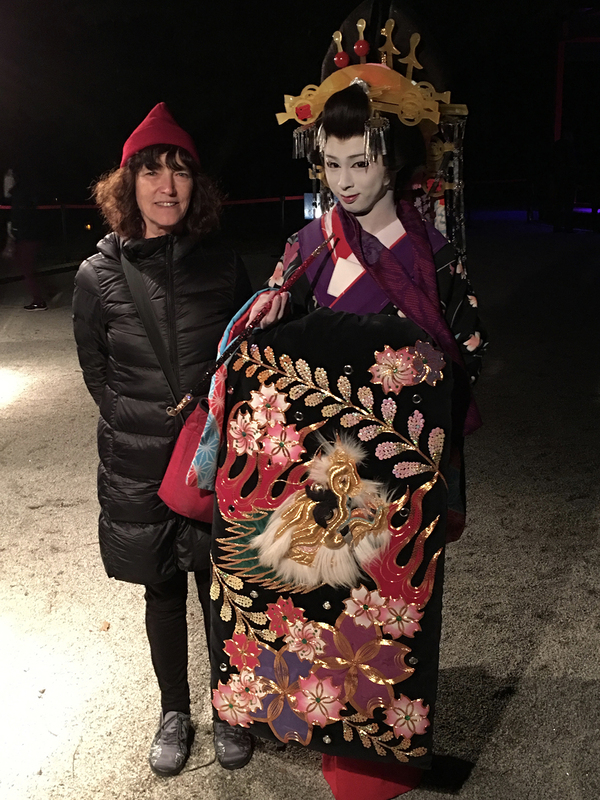 Even the locals get excited at seeing geisha. Walk the alleyway leading off Shijo Street (closest to the Kamo River on its western side) and try any of the restaurants that sit alongside the river. For contemporary arts and culture follow the stylish young people into music and bookshops. They are finely tuned to Western culture. For shopping (be warned, it’s everywhere!) visit Teramachi covered walkways (there are two parallel) and then go to Gokkomachi dori (street) one parallel to the west and see artistic designer and traditional shops and head to Café Independants for a drink and a meal. It’s a young person’s hangout, and there are brochures for art events in Kyoto on the wall. Food in Japan is wonderful as long as you are adventurous. The diet is hugely different to our own so do not expect rice bubbles for breakfast; rather imagine a riceball with umeboshi in the middle of it (onigiri = riceball, umeboshi = sour plum, ume = plum). The Japanese are both traditional and incredibly refined gourmets. They choose the best of everything around the world. They love French bakeries for example and do their best to imitate them. 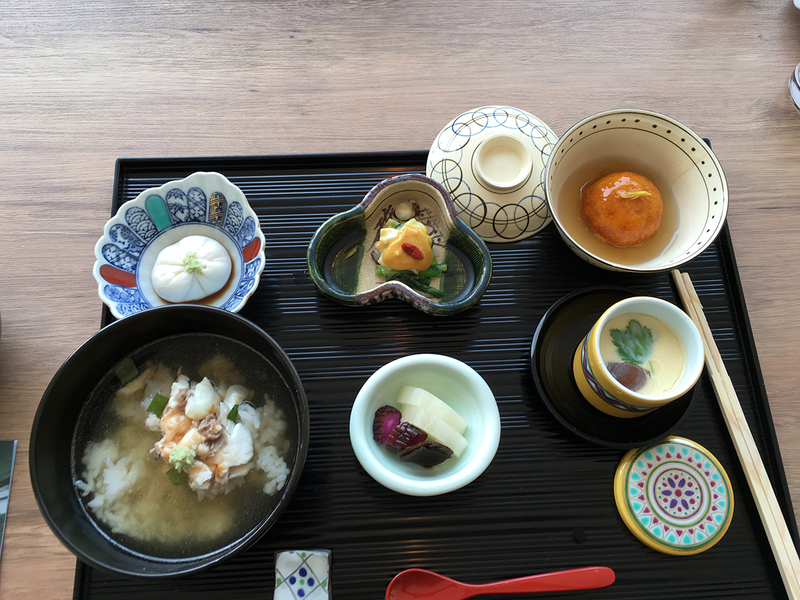 Kyoto specialises in a traditional cuisine called kaiseki, a meal of many dishes equivalent to Western haute cuisine. A reasonably priced kaiseki restaurant in Kyoto is Giro Giro Hitoshina, which sits near the Kamo River (Kamogawa) south of Shijo Street in central Kyoto, and should be booked in advance as far as possible. 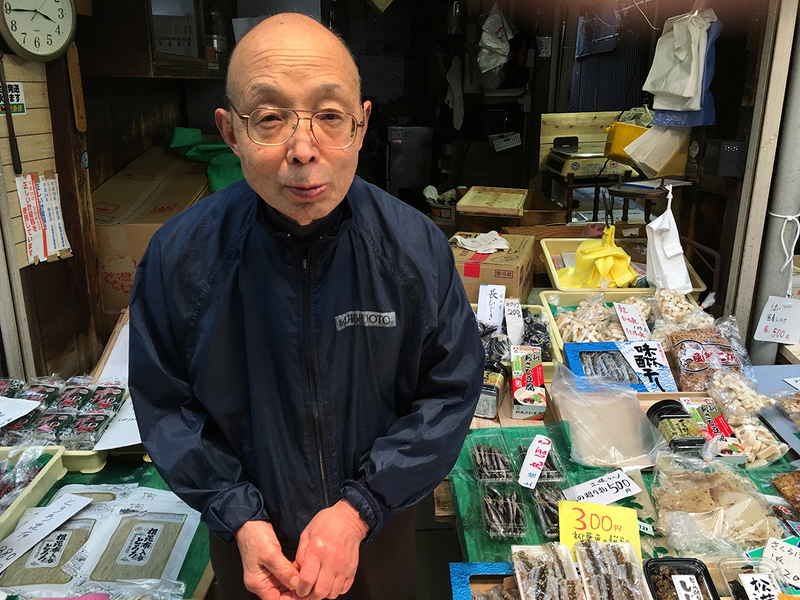 Head to the Nishiki markets in central Kyoto. It is open daily and a great source of free snacks. It will be crowded but worth it. The other treat is the food section of any department store. These are mindblowing in their novelty and a great way to get to know the Japanese cuisine. Seek out mocha (rice cakes). Sake is God’s (Buddhist) gift to humans. It is made of rice and pure water (mizu) with a yeast binder. The sake culture is as refined as wine culture in the west. Explore and sample in department stores. If you have a food allergy (I am gluten intolerant) you may have problems. Carry a card in Japanese explaining your requirements. There are two primary religions in Japan: Buddhism (of which Zen Buddhism is part) and Shinto. Temples are Buddhist with a distinctly gracious architecture. Shrines are Shinto and are recognisable by their orange/red toriis (Japanese gates). The most famous Shinto shrine in the outskirts of Kyoto is Fushimi Inari Jinja. This magnificent heritage site features thousands of toriis closely lined on walkways up the hillside. Each torii is a memorial to a family member who has died. There are teahouses to stop at and resting places with beautiful views of Kyoto. The Higashiyama hills on the east side of Kyoto are full of temples, teahouses and walks. The Philosopher’s Path extends for two kilometres from Ginkakuji Temple in the north to Nanzenji Temple in the south. A little further south is Kyomizudera. This is usually my first point of call when I arrive in Kyoto. It is an independent Buddhist temple that provides unequalled views of Kyoto from its large wooden platform. The walkways to Kyomizudera are full of craft and food shops creating a delightful experience. The only downside is that this important temple is a major attraction to tourists so crowds can be daunting at times. Other popular shrines and temples are Kinkakuji and Ginkakuji (the gold and silver pavilions). The Kyoto Visitors Guide lists all exhibitions and art events in Kyoto. There is the Kyoto Art Centre and The National Museum of Modern Art, but my personal recommendation is the Kahitsukan Kyoto Museum of Contemporary Art, a privately owned museum on the west end of Shijo Street. It features photography and photography books and pottery. On the top floor a maple tree grows through a circular hole in the roof, turning orange and red in autumn. If you like pottery I recommend the Raku Museum. Kyoto is distinguished by many Japanese wonders such as zen gardens, the classic one being Ryoanji, and places of historic significance such as the Katsura Imperial Villa which you must apply to visit in advance of your trip. If you want to see contemporary art museums and galleries go to Osaka for the day and check out The National Museum of Art Osaka, the Habeno Harukas Art Museum located in Japan’s tallest building (great views of Osaka) and the Osaka Culturarium Tempozam designed by Tadao Ando. 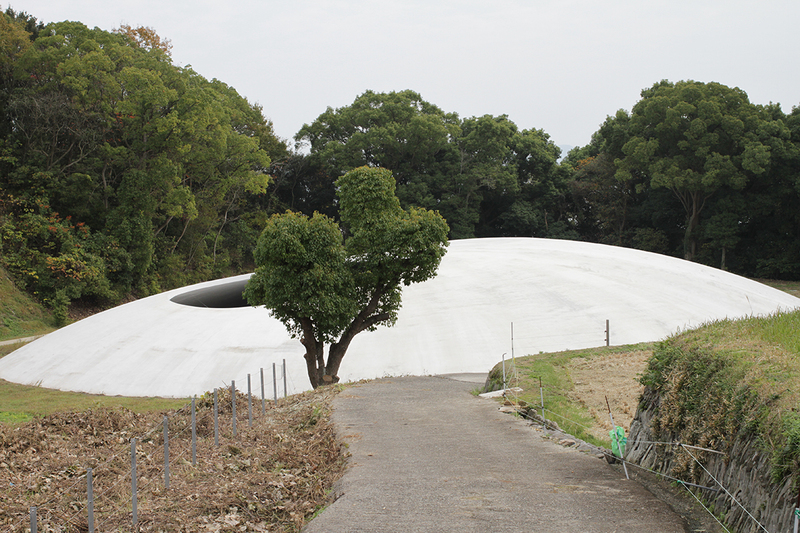 The Miho Museum, the original model for Tasmania’s Museum of Old and New Art, is set within total greenery in a hilly area a few hours by train and bus from Kyoto. For a traditional experience, go to Arashiyama for the bamboo forests. They are beautiful. To do justice to the art islands (Naoshima, Teshima and Inujima) you need a minimum of three days including travel from Osaka or Kyoto. A visit should not be rushed. There are multiple art locations on each island requiring transport by bus and ferries. There are only a few of these island-to-island each day. The locations are stunning. The art is state of the art contemporary and these islands created by Benesse Holdings Inc and Fukutake Foundation have put Japan on the international art map in much the same way as MONA in Tasmania has. My special recommendations are the Hiroshi Sugimoto installation Go’o Shrine part of the Art House Project, the Teshima Art Museum designed by Tokyo architect Ryue Nishizawa and artist Rei Naito and Teshima Yokoo House, a converted house now museum featuring the psychedelic work of artist and designer Tadanori Yokoo. A bonus if going to Naoshima and Teshima from Takamatsu port in Shikoku (rather than from Uno on Honshu) is a visit to the Isamu Noguchi Museum in Takamatsu. Do not miss the bathhouse experience. Open daily from 3pm to 2am. Take your own soap, small towel and shampoo (you can buy them at the counter). Forget your modesty as you get naked leaving your possessions in a locker. The cost is about 500 yen (about $4). Ask locals where the nearest bathhouse (onsen) is and head there at the end of the day or late before going to bed. The greatest relaxation ever! One famous one in north Kyoto is Funaoka Onsen (which is near my accommodation recommendations). Hotel Granvia is located on the first floor in Kyoto Station Building. This is a great soft landing option as a starting point. Kyoto Station Building is like a city within a city, a masterpiece of design by architect Hiroshi Hara. Then it is good to get out into the city and stay in a Ryokan (Japanese-style guesthouse or Minchuku (homestay). 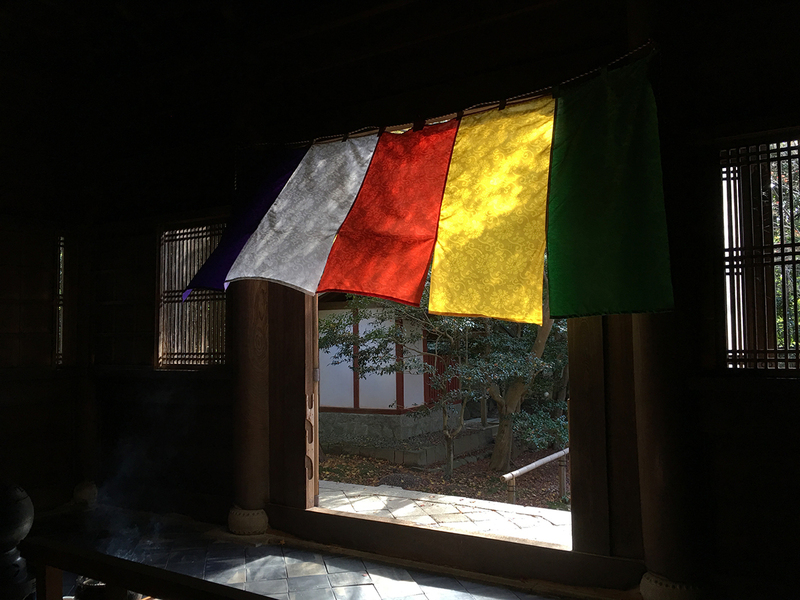 I suggest Shizuki-Kyoto Ryokan run by the delightful Satoe Ikeda. She speaks English and has lived in Australia. It is out of the city centre in the north of Kyoto near Daitokuji Temple (a wonderful Zen temple complex that you can spend a whole day or three exploring). For cheaper accommodation for budget-driven travellers in the same area, aminchuku (a type of homestay predating Airbnb) is Tani House run by the wonderful Mrs Tani and assisted by her daughter Chiaki Tani who has a separate homestay. For short stays in Kyoto you may want to look for something in the central Kyoto area. Sitting and sleeping on the floor is normal in Japanese-style accommodation so if you find this difficult, seek hotels with Western-style beds. Before you leave, buy a Japan rail pass, a good guidebook and a language book. For those in Sydney, Kinokuniya Bookshop at The Galeries near Town Hall is an excellent source of anything related to Japan. Look for Old Kyoto by Diane Durston, a guide to artisan shops of traditional art, craft and food such as tofu, tea, hand-made paper. Once in Kyoto, transportation by bus, train or on foot is easy. The city is flat and surrounded by hills on three sides, so contained. Train to Osaka takes 40 minutes if you want a big city fix. Practice bowing. Take respectable socks. You need to take your shoes off at every temple. Slip-ons are a good idea. If you have a cold, wear a facemask. Take some little gifts from Australia. Sandy Edwards and a geisha. Sandy Edwards is a leading Australian photographer, curator and Creative Producer for ArtHere.